WELCOME!!! To South Texas Marine Center. We are Located in Alice Texas, next to Tractor Supply, On Highway 44 East. 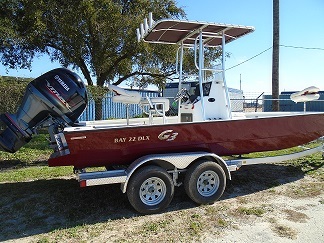 We are South Texas's Premier Skeeter, Hurricane, G-3 Pontoon and G-3 Bay Boat dealer. We also have a skilled service center with 5 Star Certified Yamaha, Evinrude, Johnson, and Mercury Technicians. We carry a full line of products and accesories for all your boating needs. Come and see us! !